Thompson Glass offers a wide variety of glass features, doors, and customized tabletops and mirrors for you to choose from. 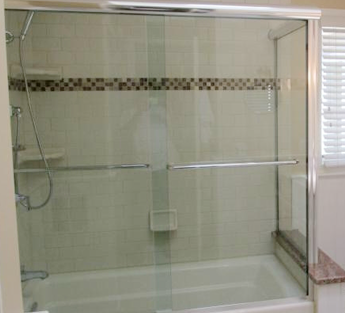 We specialize in creating custom glass for your specific needs. There is no limit to the type of glass additions we can create or repair, so contact us today for a free estimate. Whether you're looking for repairs on glass shelving, shower doors, or tabletops, our experienced team will have your glass looking like new again. Stop in today to learn more about the installation and repair services we offer. Our friendly and professional staff can assist you with any glass and mirror questions you may have. Give us a call to see what we can do for you. In addition to our extensive glass repair services, we also repair vases and other pieces by grinding down an unsightly chip or other imperfections.